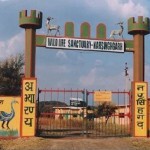 Ranthambhor National Park is situated 12 km away of Swai Madhopur. The 392 sq. Km. park comprises of dry decidous forests sprawling over an undualting terrain of the Aravalli and Vindhyan ranges. 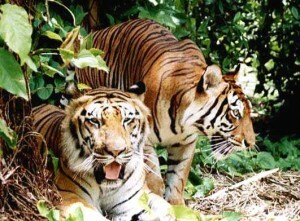 The park is one of the finest tiger reserves in the country under the Project Tiger. The majestic predators, assured of pretection, roam freely during the day time and can be seen at close quarters. 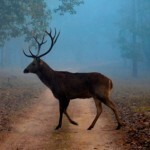 Ranthambhor sanctuary has a large number of sambhar, chital, nilgai, chinkara, langur, wild boar and peafowl. A system of three pretty artificial lakes- Padam Talab, Rajbagh and Milak Talab, alongwith a number of anicuts are part of the biosphere. Besides enhancing the scenic beauty of the Park, there are an important source of water for the inhabitants of the Park. While deer congregate here to drink water, fresh water crocodiles can be seen basking in the winter sun to regulate their body temperature. The lake also attracts a large number of migratory and local birds. 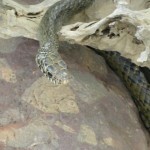 The local fauna of the Park includes leopard, hyena, jackal, jungle cat, sloth bear and a little population of pythons. The lovely Jogi Mahal overlooking the pretty Padam Talab at the foot of the fort has a Forest Rest House. Other accommodation outside the fort also ensures a comfortable stay. The best time to visit is between November and April. Jeeps are available to take you around the park. Air: Jaipur 175 km is nearest airport. Rail: Sawai Madhopur is the nearest railhead. Road: Ranthambhor has well connection of roadways through Sawai Madhopur. Best accommodation is available at Ranthambhor. 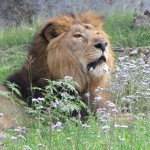 This entry was posted in Rajasthan, Ranthambhor National Park and tagged india national park, indian national park, jungle resort, list of national parks, names of national parks, National Park, national park ranthambore, Park, Ranthambhor, ranthambhore national park, ranthambore national park, safari national park, tiger national park, wild life, wild life centuries, Wildlife, wildlife national park. Bookmark the permalink.